An award-winning media maker and social critic shares her truth to inspire a generation, teaching how to use the power of story to ask critical questions and build bold, new lives. Behind the social media smiles, many people in their twenties and thirties are living frustrating lives: overwhelmed and exhausted by the gap between their realities and the image they are expected to project to the world. Erica Williams Simon recognized that this generational malaise was a recipe for disaster, one that she was experiencing firsthand. At twenty-seven, she abruptly walked away from a high profile career as a rising political media star. She stepped off the “treadmill to nowhere” to find her own truth, unpacking the advice and cultural norms that had shaped her life as she knew it. Along the way she became “story smart,” was finally able to reject the lies that society had taught her, and rewrote a brand new values-driven narrative that has helped her create a life worth living. 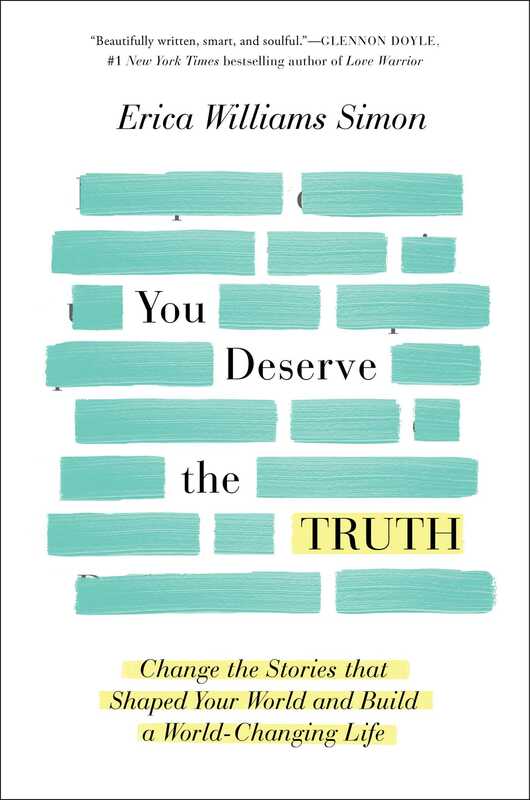 You Deserve the Truth is a masterclass in how to challenge the stories surrounding fear, work, money, identity, success, faith, and love that millions have unconsciously adopted. Each chapter includes the heroic and heartbreaking lessons learned from Erica’s journey and during her tenure inside the highest levels of politics, media, and tech. Part memoir, part self-help, You Deserve the Truth provides a blueprint for anyone seeking a new way to live; one that is authentic, empowered, and ultimately world changing. Photography by Brian K. Freeman, Jr.
Erica Williams Simon is an award-winning content creator, TV host, and social critic. She is the head of The Creator’s Lab at Snapchat, host of the popular podcast, The Call with Erica, an advisor for NPR’s Generation Listen, and cocreator and host of the digital talk show, The Assembly. 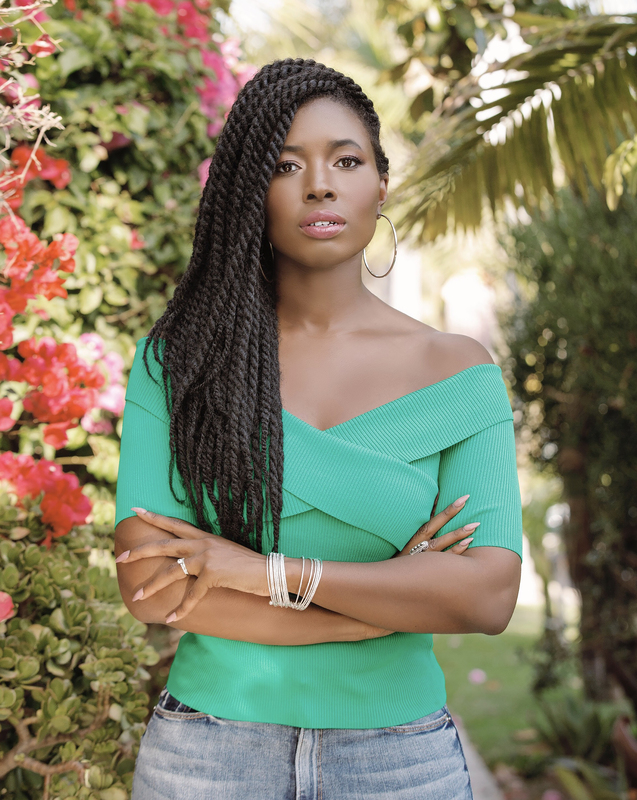 A committed civil and human rights advocate and preacher’s daughter for life, Erica is a World Economic Forum Global Shaper and resides in sunny Los Angeles, California. "In this beautifully written, smart and soulful book, Erica Williams Simon gives us what we all need more of: The knowing that life, at its best, is more about wonder than certainty. With You Deserve the Truth, Erica invites us beyond the old stories we’ve been told about ourselves, and into the wonder of our dreams, hopes and love – so we can find our truth and purpose there." "Erica is the girlfriend everyone deserves: full of wisdom, grace and unwavering honesty. You Deserve the Truth is the smart and all too real guidebook for anyone striving to craft an authentic and inspired life from the ground up. Erica's willingness to share the messy parts of her truth is a needed reminder for the rest of us to live ours." "For a straightforward and honest look under the hood of the human experience, soiled but also blessed by what social media has done to it, Erica Williams Simon’s You Deserve the Truth will act as a roadmap that can feel like an iron fist in a cashmere glove: delicate and warm but unflinching and equable at once. If we are, as she says, all wayfinders, Erica is the closest thing we get to a guide." "Our lives are filled with story; Simon’s book deconstructs her personal stories about fear, dreams, work, money, time, faith, and love... Simon mixes her personal experience with national and global examples of nascent narrative intelligence. Her writing style is readable and engaging, and her message matters."